Knowing where your food came from, and how it was grown, is becoming more and more important in today's world. 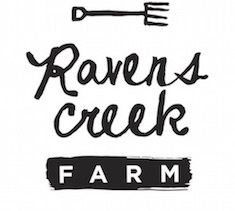 At the Ravens Creek Farm cafe we sell all of the produce grown on our farm directly to the public. That includes our berries, pork, beef, honey, eggs, vegetables and more. Our products are available by order and off the shelf according to their seasonal availability. By purchasing produce directly from our shop you can be 100% certain you are buying healthy, chemical free produce as fresh as you can get. Better still, you can look out to our vegetable garden and across into the paddocks and see exactly where it was grown. Visit our cafe to stock up on fresh local produce, and get in touch during the off season if you are interested in what we have to offer throughout the year!